Después de estudiar Historia en la Universidad de Navarra, se trasladó a Granada para completar la especialidad en Arqueología. Estando en esta universidad recibió una beca para cursar estudios de postgrado en la Universidad de Miami. 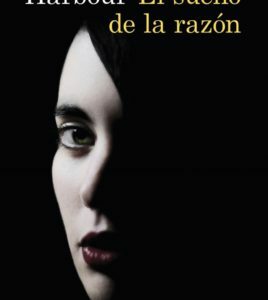 Al poco de llegar tuvo a la luz de las estrellas una crisis existencial que le llevó a reorientar su vida hacia el mundo de la empresa. Estudió, por tanto, Economía, que completó con un MBA en la Universidad de Deusto y un MEBA en la Universidad de Canterbury. Su afición, a veces compulsiva, por conocer lugares y gentes nuevas, le ha llevado a recorrer países en los cinco continentes, a menudo con más temeridad de lo aconsejable. Ha sido Asia, sin embargo, lo que más ha cautivado su imaginación. 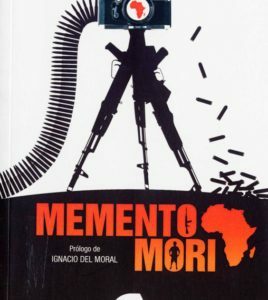 Desde las selvas de Borneo hasta las cumbres del Tibet, desde las arenas del Taklamakan hasta los fondos marinos del anillo de fuego del Pacífico, este continente ha sido para el autor una fuente inagotable de inspiración. La experiencia recabada en estos viajes, unida a su pasión por la lectura, fue lo que un día le empujó a retomar una vocación largamente postergada. 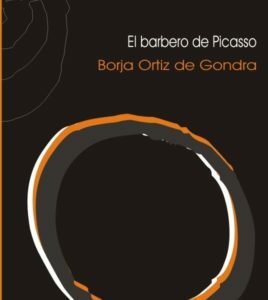 Para el autor, escribir es una necesidad, el contrapunto de un ritmo de vida de vértigo. Es, en palabras suyas, “como una buena partida de ajedrez: al mismo tiempo, relaja y estimula”. 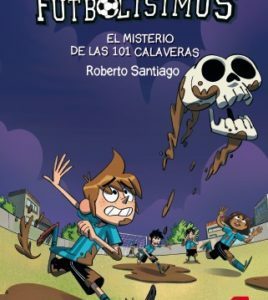 La estirpe de Caín es su primera novela, pertenece al género histórico y está publicada en UNOMÁSUNOEDITORES. 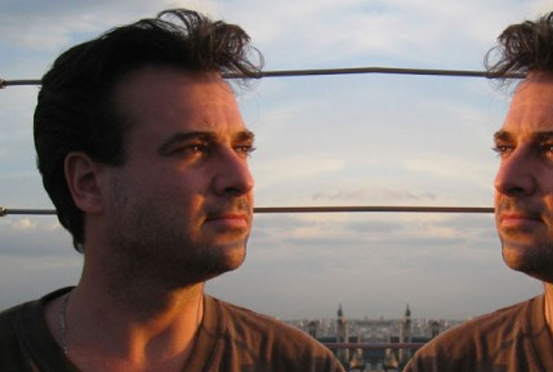 Born in Pamplona on April 27, 1968, he was drawn early during his childhood and youth to reading and developed a special talent for storytelling. In these years he developed two passions which must have shaped the rest of his life: the study of History, which lead him to read hundreds of books on the subject and to choose this career, and a fondness for adventure travel. After studying History at Navarra University, he moved to Granada to finish his specialization in Archeology. While at this university, he received a scholarship for postgraduate work at the University of Miami. Not long after arriving and while out for drinks with some friends on the deck of a yacht in the cozy Miami bay, he had an existential crisis by starlight that brought him to redirect his life towards the business world. Thus, he studied Economics which he finished with an MBA from Deusto University and an MEBA from Canterbury University. One could say that the author has been a nonconformist who wanted to try everything. He learned English in the summers, working as a waiter in London; he participated in three archeology campaigns in several countries; he was assistant TV cameraman, bicycle mail-deliverer, tour guide and English teacher, before concentrating on his business studies. In China, after working in the Commerce Office, he established an Office of Representation and an assembly line for an entry-phone company, and then a Mixed Company for strongbox manufacture. For several years he ran a factory with more than one hundred employees and later was the purchasing director for a top multinational firm. He currently runs his own company, Orient Source, established in Shenzhen. His sometimes compulsive hobby of seeing new people and meeting new people, has lead him to countries on the five continents, oftentimes more rashly than would be advisable. Asia, however is what has most captivated his imagination. From the jungles of Borneo to the peaks of Tibet, from the sands of Taklamakan to the marine depths of the Pacific ring of fire, this continent has been an inexhaustible source of inspiration for the author. The experience gained on these trips, together with his passion for reading are what one day pushed him back into a largely deferred vocation. For the author, writing is a need, the counterpoint to a hectic lifestyle. It is, in his words, “like a good game of chess: it simultaneously relaxes and stimulates”. 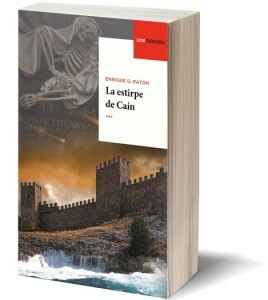 La estirpe de Caín [The lineage of Caine] is his first novel.